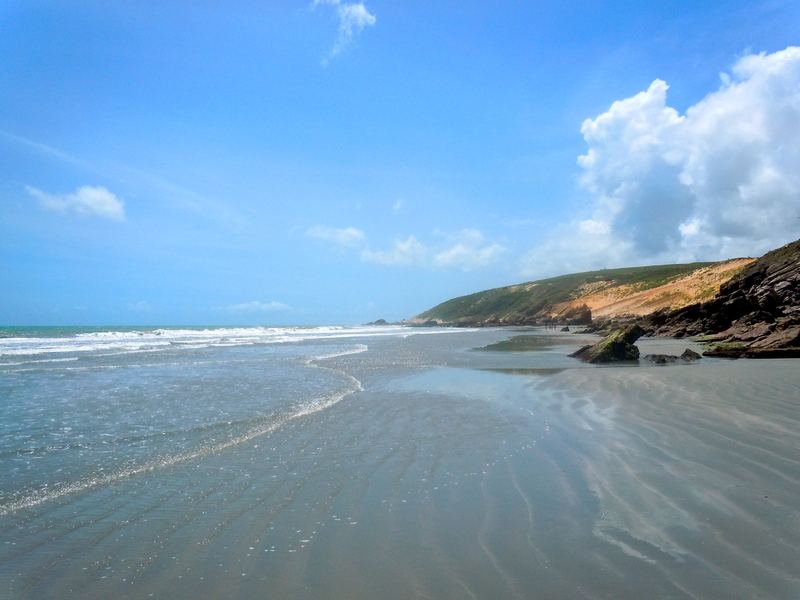 Ceará is known for its beautiful coastline. 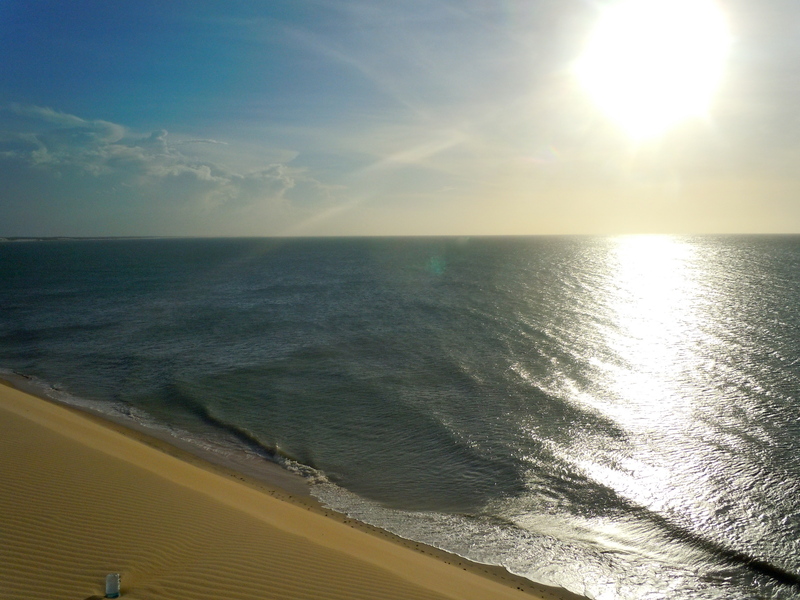 When Lara and I first arrived to Fortaleza, André told us we needed to make sure that we took some time to do some traveling to the different beaches. 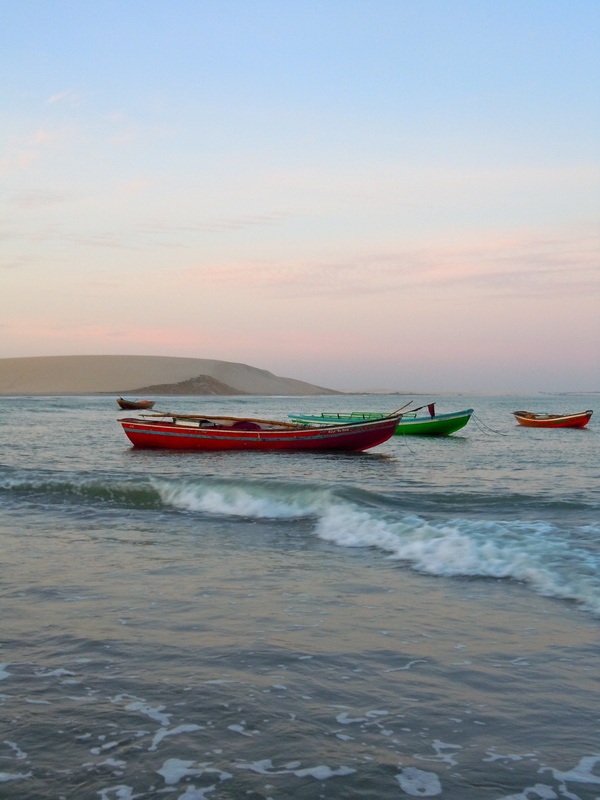 We had several weeks in February when we should’ve traveled, but we were more comfortable with just relaxing and becoming more accustomed to living in Fortaleza. When Easter weekend rolled around, people kept asking us what our plans were and if we were traveling anywhere. Honestly, we really hadn’t thought about going anywhere, but everyone’s questions spurred us into action. 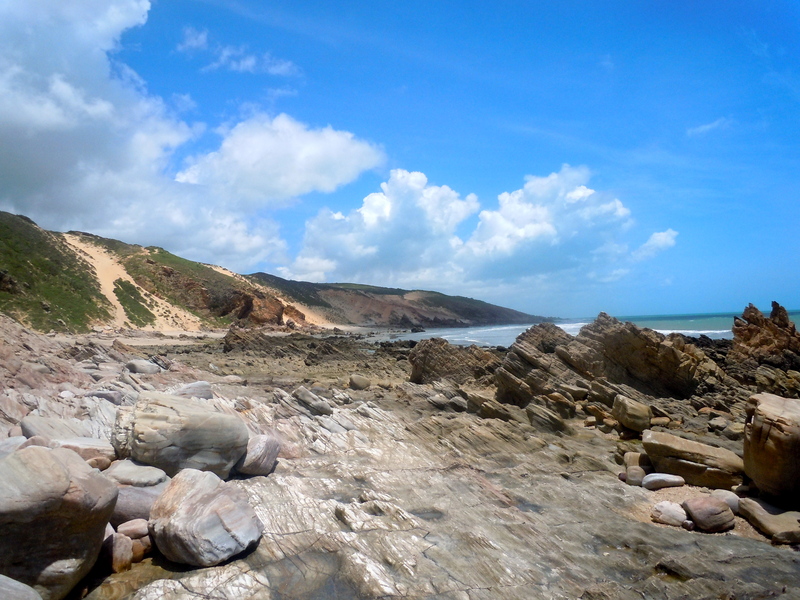 Most of the other exchange students went to Canoa Quebrada, but Lara and I chose to visit Jericoacoara instead. Since we live in the tourist district and a block away from Beira Mar, it was only too easy to find a travel company and buy bus tickets from them. Since we basically planned our trip in one day, I’m pretty proud of how well it turned out. Since I’ve stayed with Hostelling International before and the reviews for their hostel in Jeri were pretty good, I figured the price was just too nice to pass up. 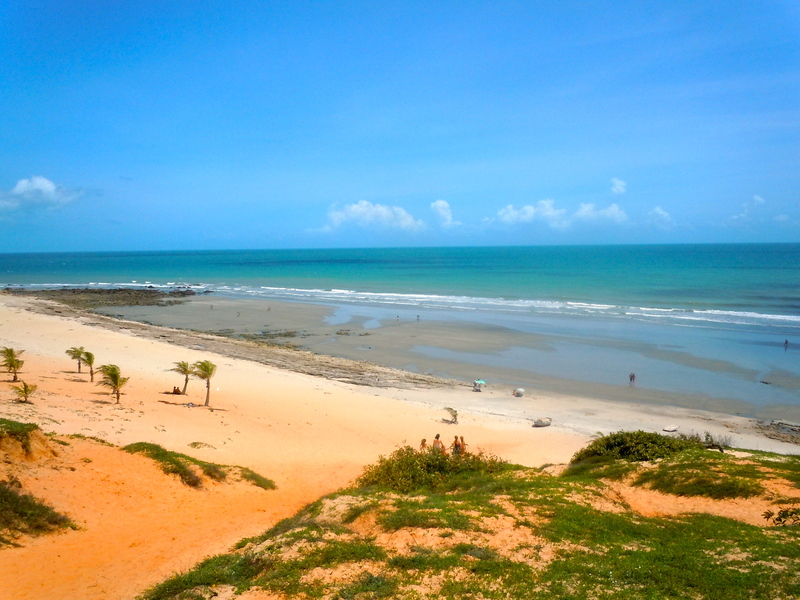 It’s a six-hour drive from Fortaleza to Jericoacoara. 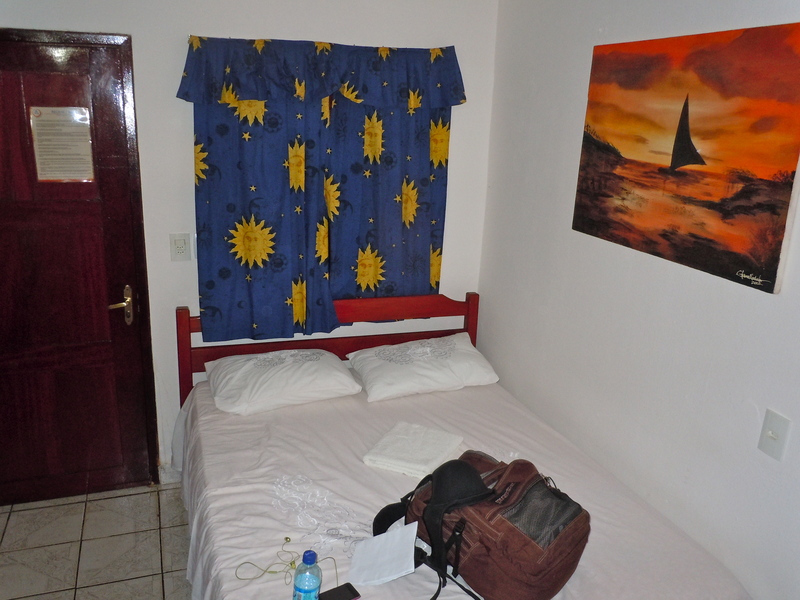 Our bus left the city on Thursday at 5:30ish and we made it to Jeri around midnight. The first leg of the bus ride was in a very nice charter bus: each seat reclined so far that they were basically horizontal, the company provided snacks halfway through the trip, and the seats also came with these weird leg rests so you basically got to lie completely flat. It was awesome! Once we got on the bus, we were bouncing with excited. 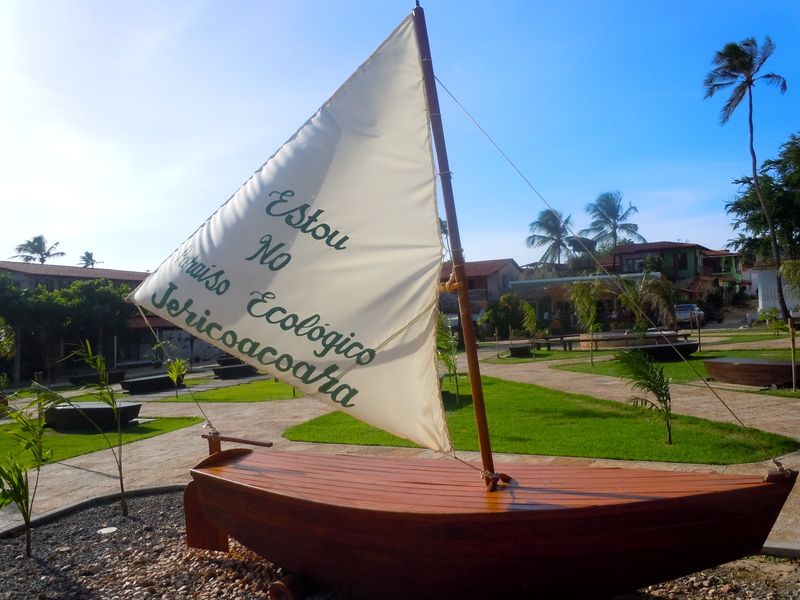 Our first trip outside of Fortaleza since we arrived in February! 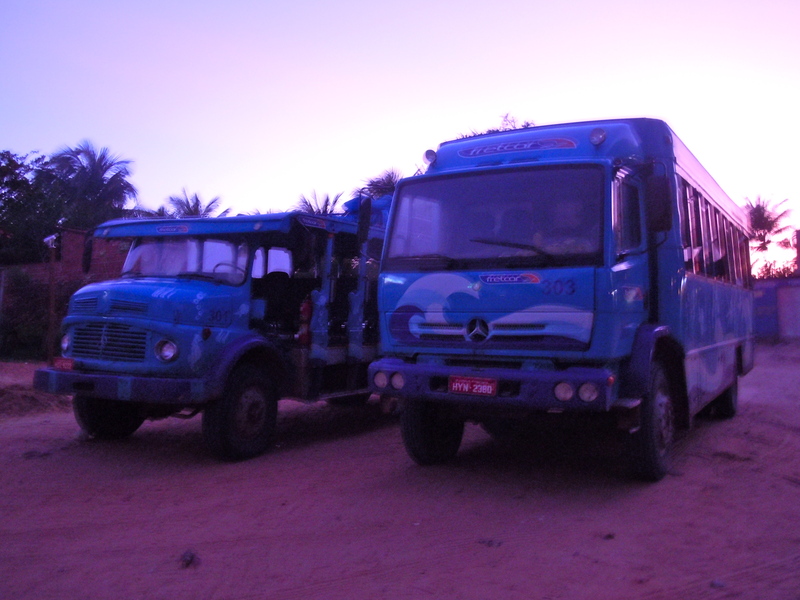 When we reached Jijoca, we had to change buses because there are no real roads that lead to Jeri. 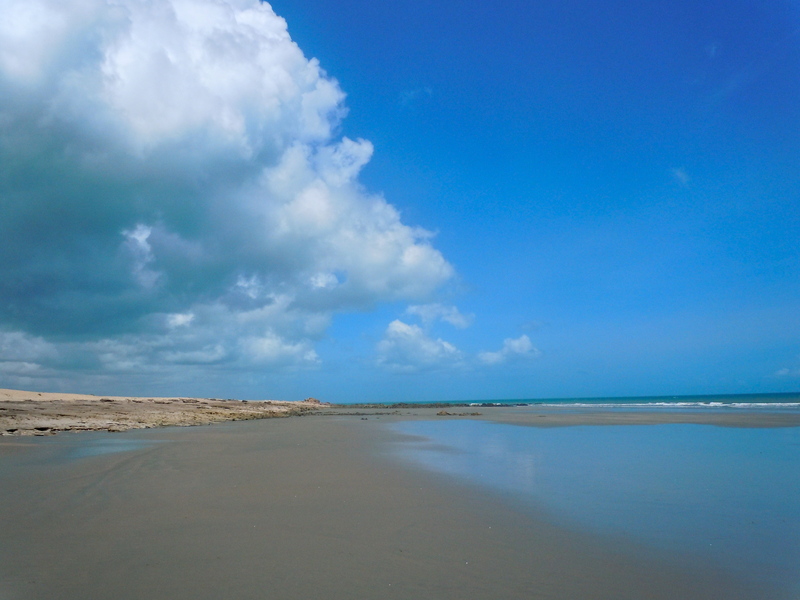 One of Jericoacoara’s biggest attractions is how secluded the beach is; it village has four roads, all of which are dirt. The hour-long ride in the off-roading bus was surprisingly fun. I was surprised to see so many houses; the kids would run outside and wave at us when the heard the bus driving by. As we approached Jeri, we drove in the sand along the beach for a few miles; the view of the ocean in the dark was mesmerizing. 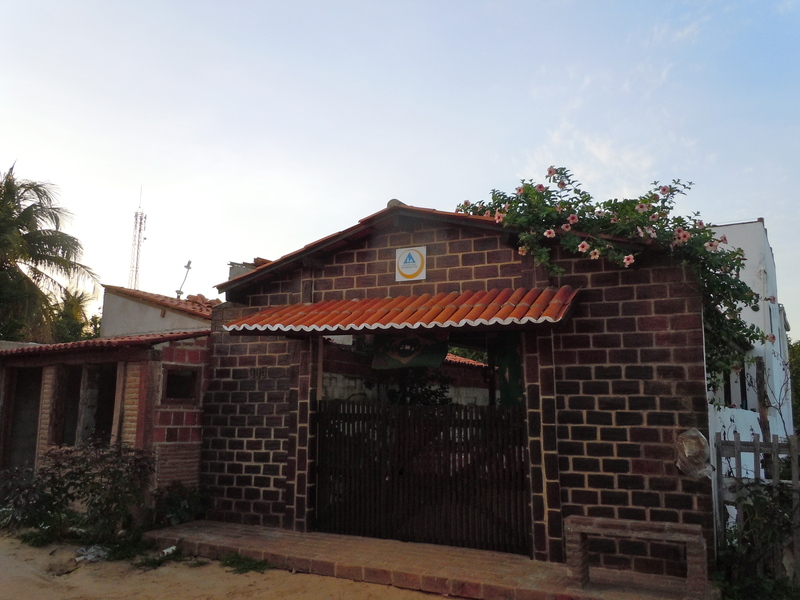 Once we arrived in Jeri, the bus dropped us off and immediately people started coming up to us to ask if we already had a place to stay, advertising the not-so-cheap prices of their pousadas (like a hotel but in village form). One guy even tried to get us rent an apartment. We finally managed to get someone to give us directions to our hostel. When we got there, some kid was working the front desk; he looked so nervous and it took him a good fifteen minutes to find the working key to our door. 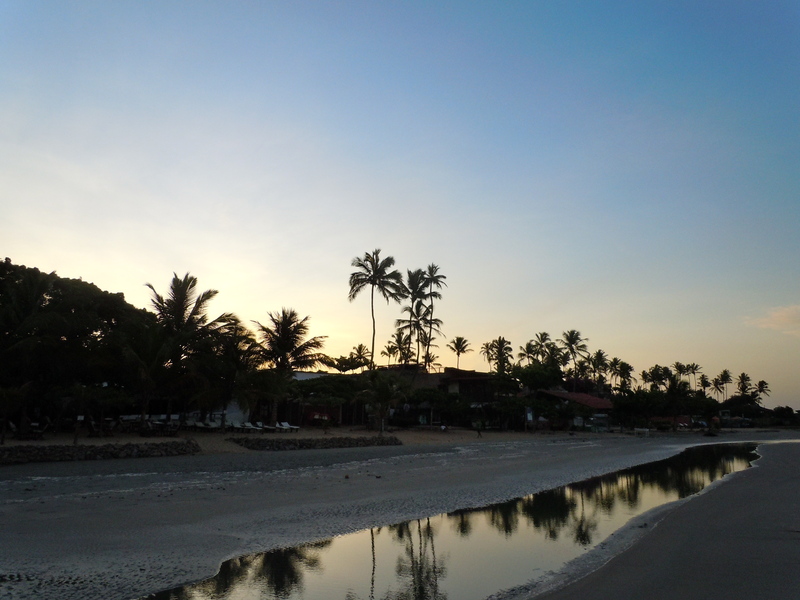 Once we got settled in, Lara and I decided we’d rather sleep and wake up super early to see the sunrise rather than going and finding the party scene which was just starting to kick off. We woke up at like 4:30 and headed out to the beach. It was such a calming walk and took us a far shorter amount of time than I expected. 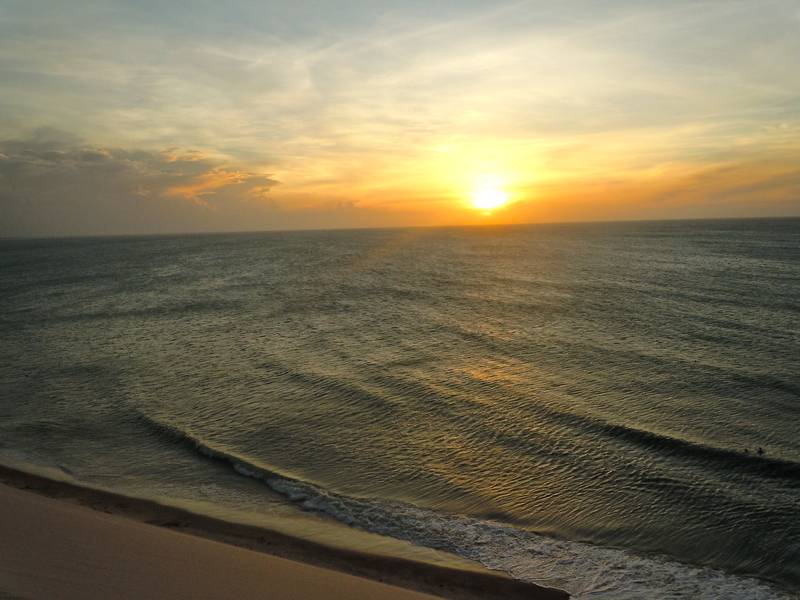 Walking along the beach and watching the sun come up over the sand dunes started off the perfect relaxing vacation we needed. Breakfast at the hostel didn’t start till 8am so we crashed for a couple more hours once we returned to the hostel. Breakfast was simple and delicious: mangos, bananas, honeydew, pineapple, bread, a couple different types of cake, fresh juice, coffee, and an egg-ham-cheese thing. The guy who runs the hostel cooked us breakfast then gave us the run-down on what to do in Jeri. 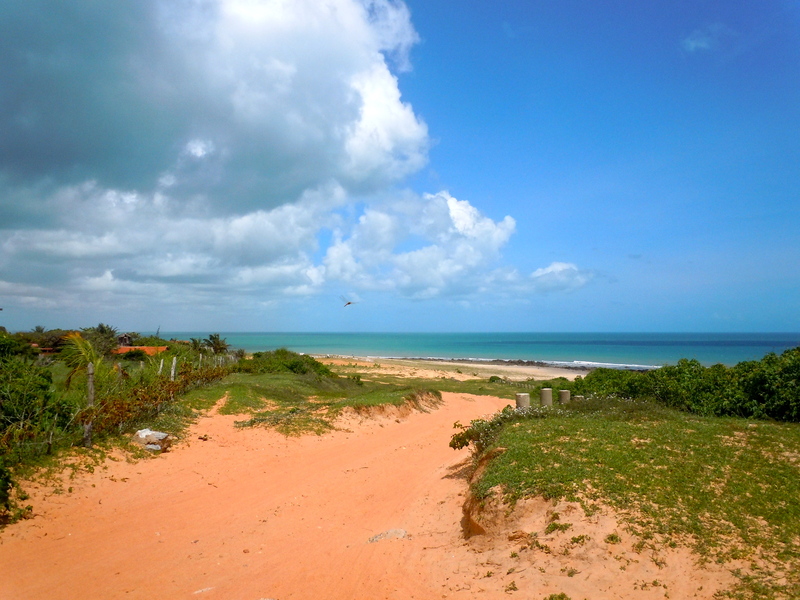 There were a couple different tours that travel around the lagoas, the sand dunes, and the national park. 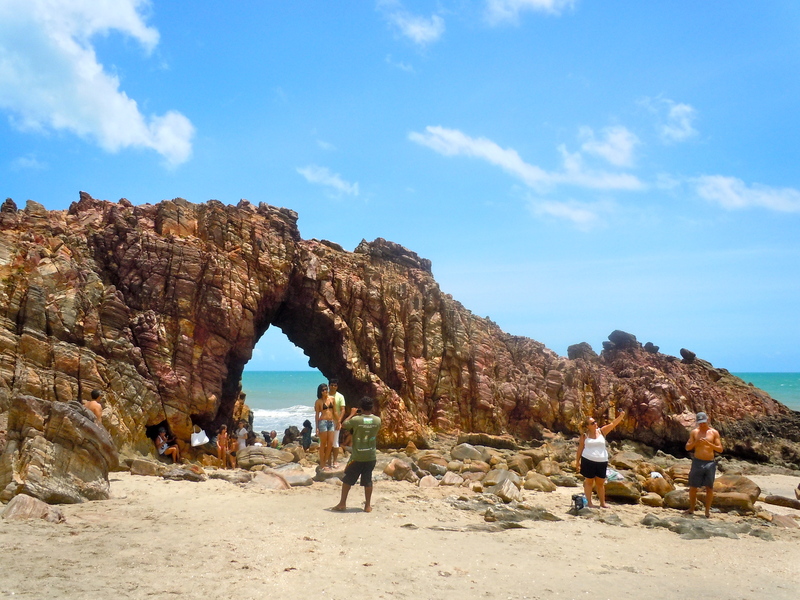 Since we were only in Jericoacoara for one day, we decided to do the hike to the Pedra Furada (Pierced Rock). When you search for pictures of Jeri, the Pedra Furada is usually what pops up. The guy at the hostel kept repeating over and over again that we needed to put on a ton of sunscreen. He kept stressing how we probably wouldn’t feel the sun since it’s so windy and we was worried about our pale skin hahaha! I couldn’t stop laughing because he kept giving Lara a very worried look since she is just naturally pale. The hike to the rock was about 1.5km and didn’t take too terribly long. Lucky for us, the tide was out so we got to walk along the beach and stop every five meters to take a gazillion photos. I almost walked right past the Pedra Furada when we arrived haha. I saw a couple guys with coolers selling water and coconut water and people sitting around, but I basically missed the main attraction solely because I was expecting it to be much larger. We bought some coconut water, posed for some photos, and just relaxed to enjoy the scenery. I absolutely loved the colors everywhere! 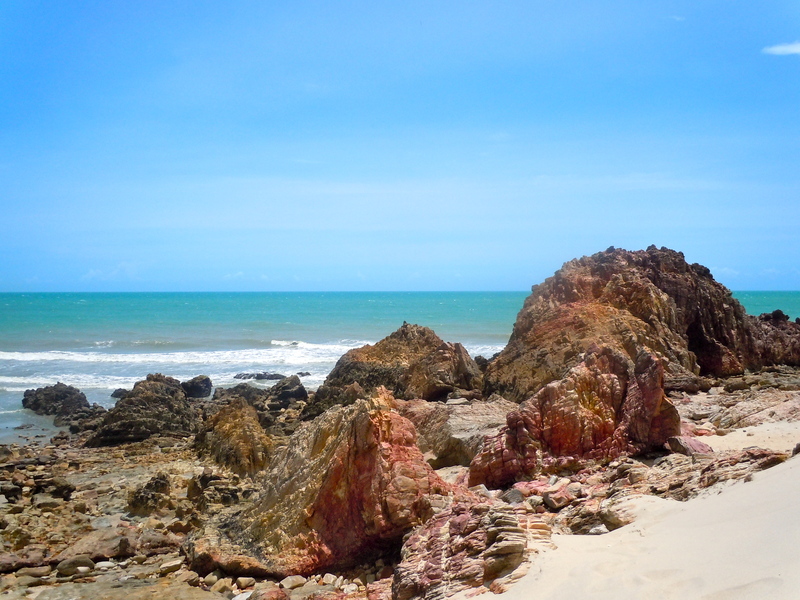 The water was so blue, almost turquoise; the sand was almost white from the sun; the rocks were a myriad of brown and red tones; the “mountain” behind us set off the whole scene nicely with the bright green vegetation growing on top. After a while, we decided to head back to the main beach to lounge in the sun. About halfway back, I noticed the tide was starting to come in, and, in the interest of protecting our cameras, we decided to hike up the mountain and complete the journey from up there. My calves and shins almost died scrambling up the sandy slope. 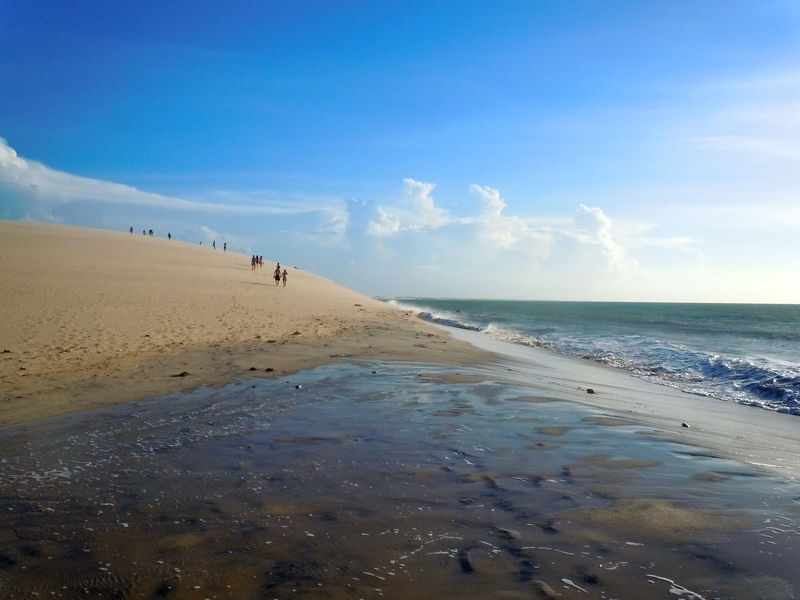 It reminded me of climbing up the Pedra da Gávea back in Rio, but this time there were no steps, but straight up sand. 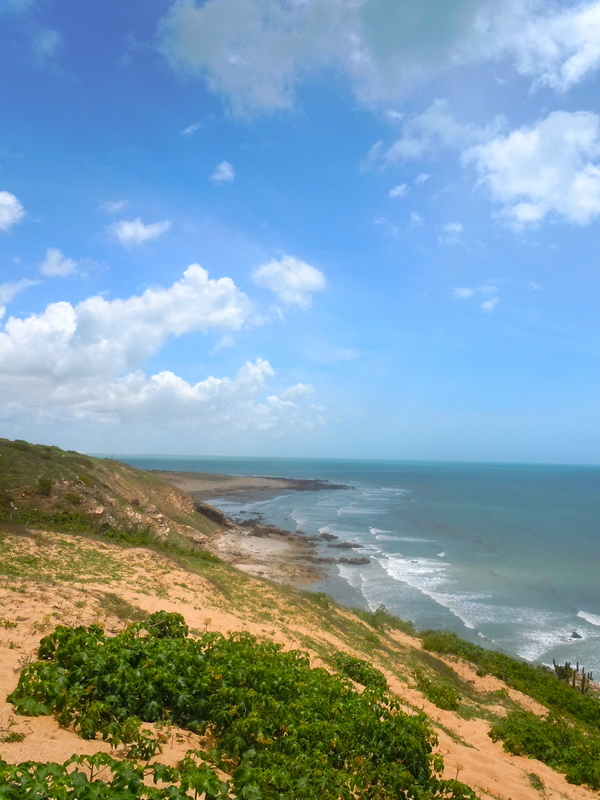 Once we made it to the top, we were rewarded with an incredible view of the ocean and the coastline. 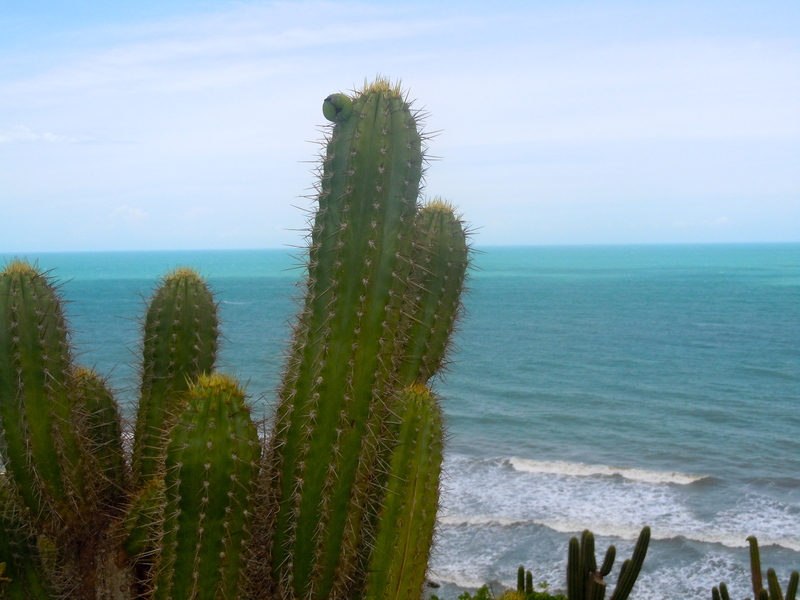 It was so weird to see cacti growing on top of the hill with a beautiful ocean in the background. It just didn’t make sense haha. 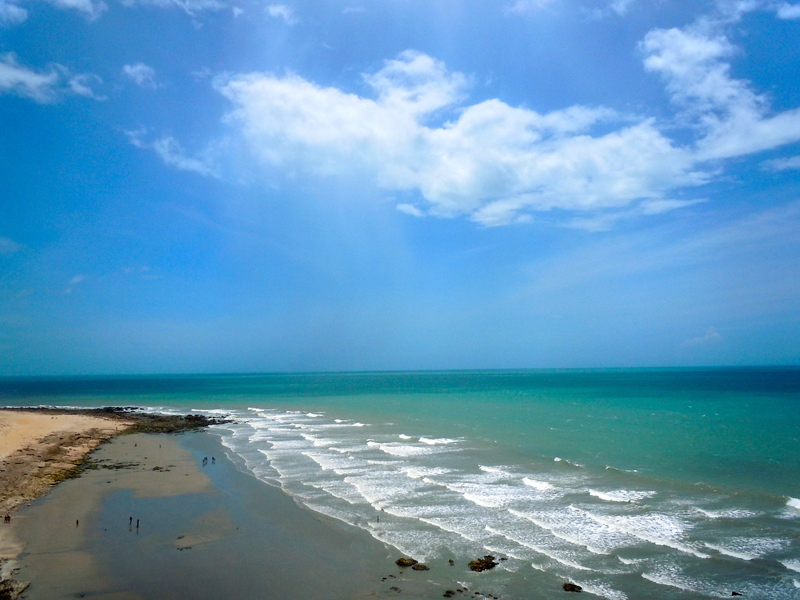 Once we got back to the main beach, we napped for a couple hours and remembered to reapply sunscreen frequently. It was HOT! I mean, I know we’re basically almost on the equator, but jeez it was hot. It was so cool to see the people surfing, windsurfing and kite-surfing. I tried to capture some action shots, but it only worked so-so. 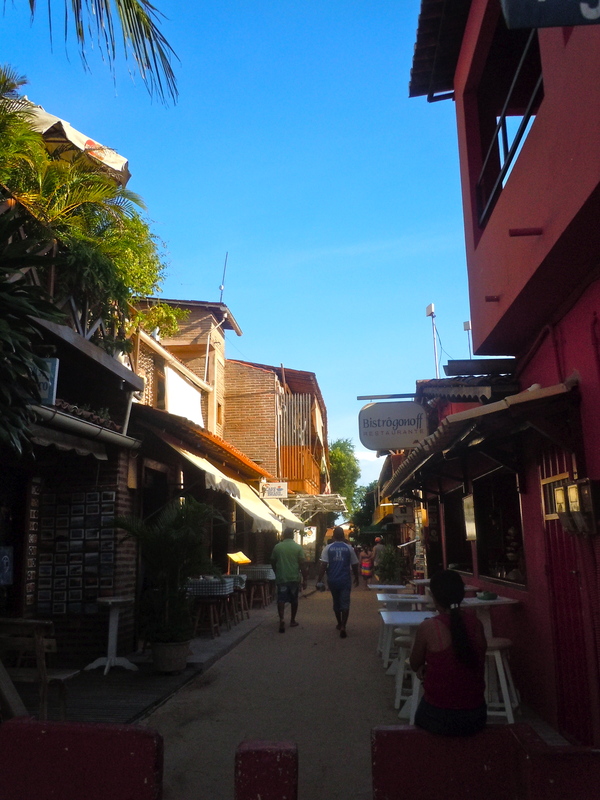 We headed back to the town to eat some lunch around 2ish and devoured our meals of shrimp and carne do sol. Our bus didn’t leave Jeri till 10:45pm so we still had quite a while to walk around. 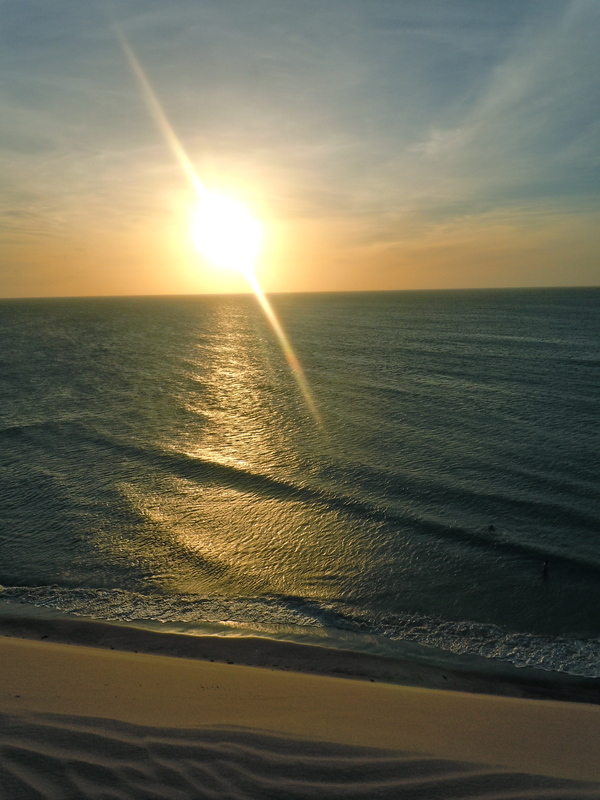 Our goal was to hang around to see the sunset since Jericoacoara is also known for having some of the most incredible sunsets in the world. 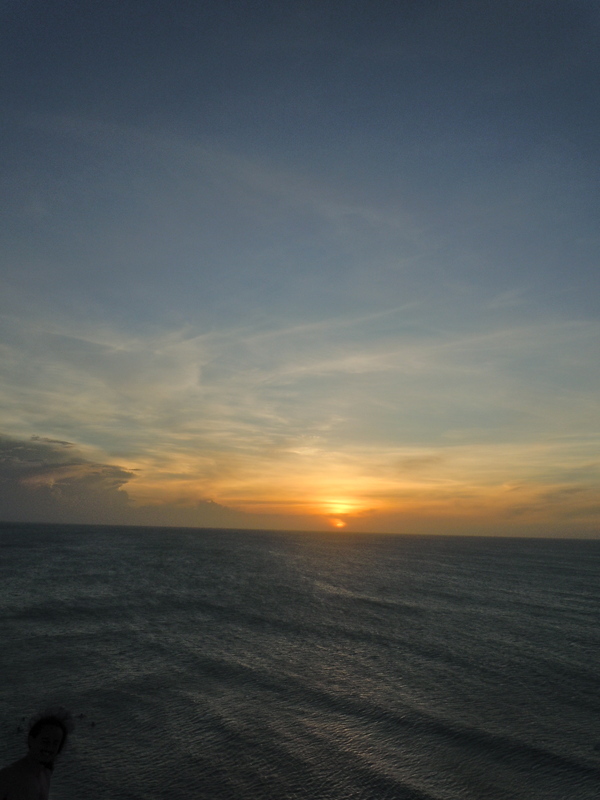 I was particularly interested in see if we’d be lucky enough to glimpse the Emerald Sunset. 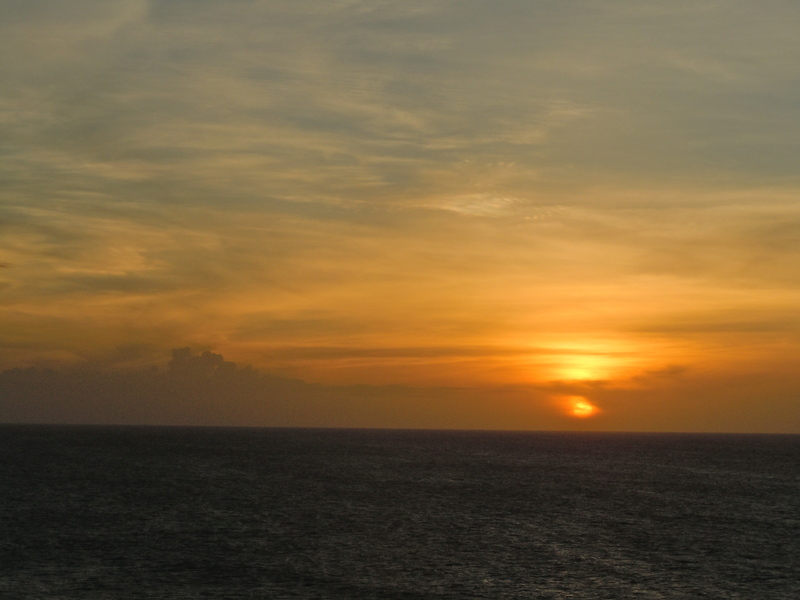 If you’ve seen the third Pirates of the Caribbean movie, the “green flash” at sunset actually exists. Unfortunately, it was too cloudy for us to see it. I was a little disappointed but the breathtaking sunset was more than enough to make up for it. 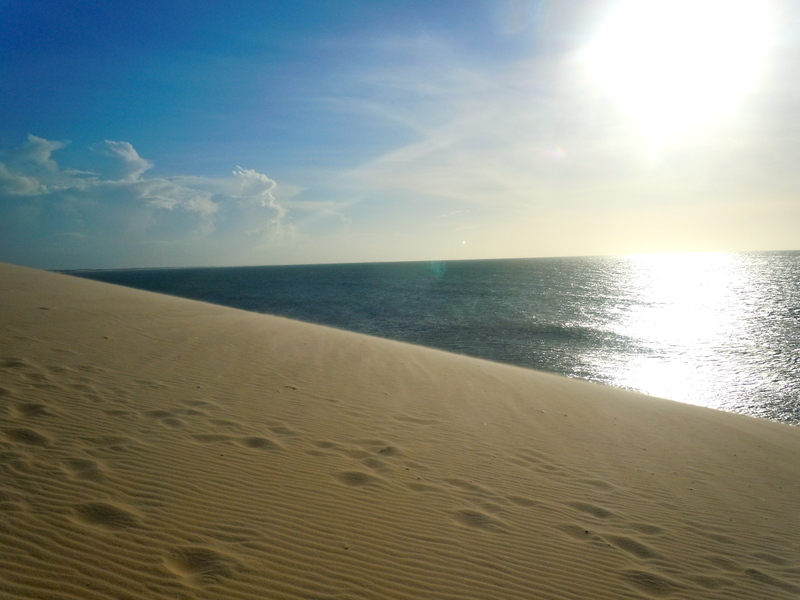 Around 4 or 5ish in the afternoon, people start walking up this huge sand dune outside the town to watch the sunset. Once again I was struck by just how weird it was so see sand dunes next to the beach. The wind was quite strong, so sand got everywhere. And I mean EVERYWHERE. I’m still trying to get the sand out of my backpack over a month later. Once the sun set, there was this reenactment of the crucifixion of Jesus, with the sand dune serving as Calvary. The whole scene was very theatrical; they actually hoisted three men tied to crosses up in the air and the Jesus character had fake blood all over him. I’m still not sure how I feel about the whole scenario; it just felt off with a guy running around with a huge camera shooting video and people cheering after it was over. After all that finished, we went down to the beach and got some maracujoskas (kinda like a caipirinha but with passion fruit instead of limes). It was pretty good, but I couldn’t stand the seeds at the bottom of the cup. They just looked repulsive and they were all slimy and ugh! On our way back to the main square to get dinner, I stopped to buy some earrings from this lady, who I ended up talking to for a good twenty minutes in Portuguese (still very proud of myself for pulling that off haha). 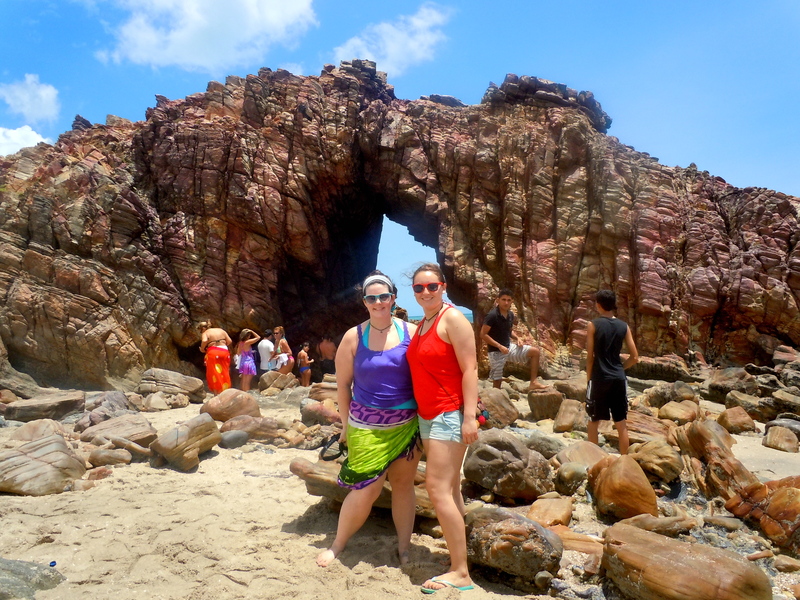 She was from Rio Grande do Norta and were surprised that Lara and I were two American students studying in Fortaleza. She loved the fact that we were studying Environmental Engineering and went on a rant to us about the differences in basic sanitation between Ceará and her home state. After we finished dinner we went and waited for the bus to take us home. On the off-roading bus, we met a lady from Dallas who works in Rio. She just moved there from São Paulo and decided to backpack around the country before she started work. We were supposed to arrive in Fortaleza around 6am, which would’ve been perfect so we could take a city bus back to our apartment from the massive rodoviária (bus terminal). Nope. Didn’t work out that way. 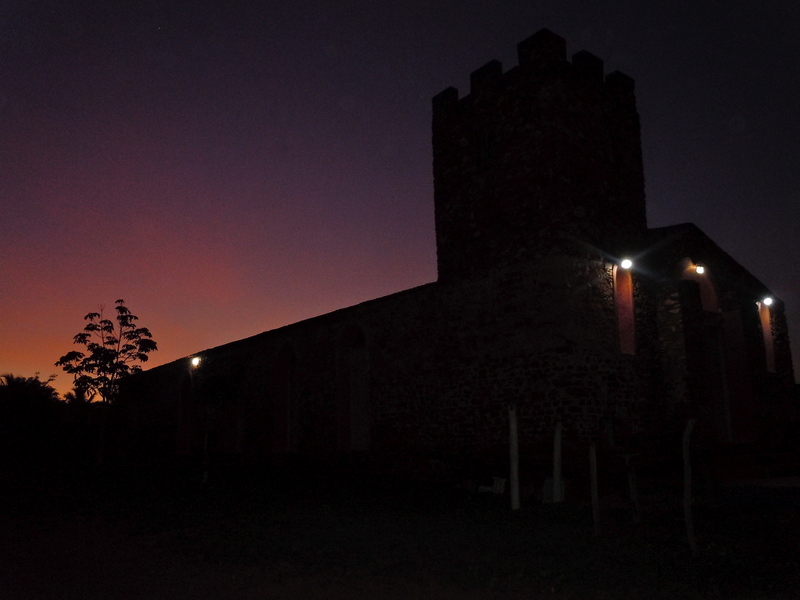 We got back to Fortaleza around 4:30 in the morning! The one time we wouldn’t have minded being on Brazilian time and we arrive two hours ahead of schedule. So we gave up, took a taxi home, and crashed. 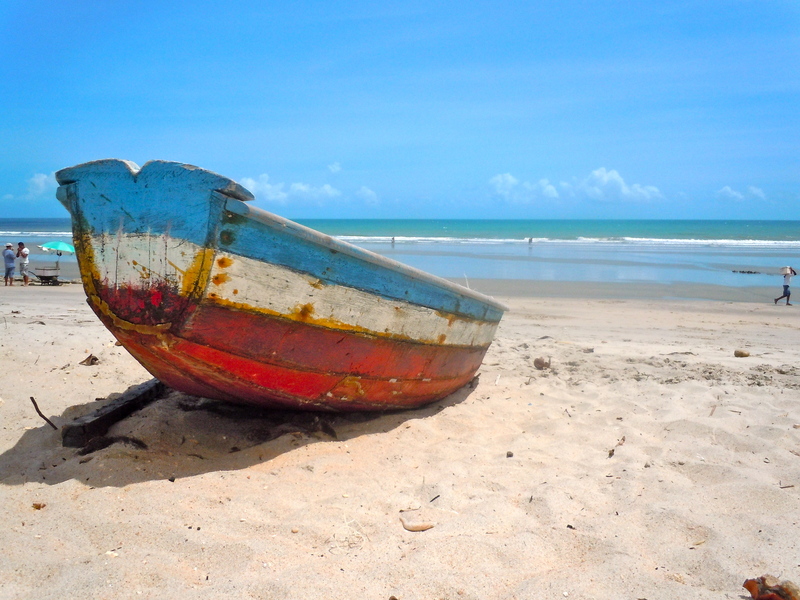 It was an incredibly relaxing weekend and I wish I had had more time in Jericoacoara. It’s like a tiny, secluded piece of gorgeous paradise. ~ by dfsg1991 on May 14, 2012. Parece lindissimo. Acho que alguém já me recomendou esse lugar. Talvez eu vá (tá correto aqui o subjuntivo??? meus deus essa língua) lá com Matthias quando ele vem pra qua. Bjs.